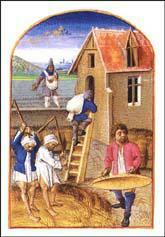 Gilbert, the son of Gilbert the Red, was born in 1291. His mother was Joan, the daughter of Edward I. His father died in 1295 and Gilbert inherited his father estates. He also became the 10th Earl de Clare, the 8th Earl of Hertford and the 9th Earl of Gloucester. Gilbert was brought up in the royal household with the king's own son Edward. The two boys became close friends and after Edward became king, Gilbert became one of his most important advisers. At the age of seventeen, Gilbert was fighting in Edward's army in Scotland. For the next three years Gilbert stayed in Scotland trying to defeat Robert Bruce's army. Bruce avoided pitched battles, relying instead on guerrilla warfare. His tactics were successful and the English army had to concentrate on holding on to a few key towns and castles in Scotland. Gilbert returned to England in 1311. Edward II was pleased with Gilbert's loyal service and he was given over £3,000 and granted more land in England. While Gilbert was away, the war in Scotland went very badly for England. Robert Bruce took castle after castle and eventually only Stirling was left under English control. In 1314 Bruce besieged Stirling Castle. In an attempt to save Stirling the king decided to march north with the largest army that had ever left England. Bruce made no attempt to stop Edward's army from entering Scotland. Bruce concluded that his best hope was to force the English to fight on territory that best suited his limited resources. Bruce chose a site only two and a half miles south of Stirling, by a stream called Bannockburn. The Scots took the high ground so, if the English were to attack, they had to advance on a narrow front between marshland and a thick wood. The main English army arrived on 24th June. 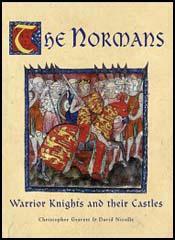 Gilbert, who had brought 500 of his own knights with him, advised the king to allow the men to rest for a day. Edward disagreed and accused Gilbert of being afraid of the Scots. Gilbert was stung by these comments and immediately ordered his men to attack. Gilbert gallantly led the charge but his horse was cut down and while he was on the ground he was killed by Scottish spearmen. The English soldiers started to turn and run. Others followed and soon the English army was in retreat. 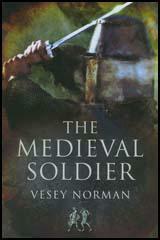 Many of the English knights were able to escape, but those without horses, such as spearmen and archers, suffered very heavy casualties. The battle at Bannockburn was the worst defeat in English history. Robert Bruce respected Gilbert de Clare's bravery and allowed his body to be returned to his family. Gilbert, who was only 23 years old, was buried at Tewkesbury Abbey. Gilbert did not have any children and so his death brought an end to the male line of the Clare family The family estates were now divided between Gilbert's three sisters. Eleanor, Margaret and Elizabeth.